In everyday life, our interactions with objects on real tables include how our fingertips feel those objects. In comparison, current digital interactive tables present a uniform touch surface that feels the same, regardless of what it presents visually. In this project, we explore how tactile interaction can be used with digital tabletop surfaces. We present a simple and inexpensive device - the Haptic Tabletop Puck - that incorporates dynamic, interactive haptics into tabletop interaction. We created several applications that explore tactile feedback in the area of haptic information visualization, haptic graphical interfaces, and computer supported collaboration. In particular, we focus on how a person may interact with the friction, height, texture and malleability of digital objects. The project will produce the haptic puck hardware and an expressive toolkit / API that uses it. It will also illustrate how this can be exploited via various novel interaction techniques. Ledo, D., Nacenta, M. , Marquardt, N., Boring, S. and Greenberg, S.: The HapticTouch Toolkit: Enabling Exploration of Haptic Interactions, In ACM 6th International Conference on Tangible, Embedded and Embodied Interaction – TEI’12., ACM Press, 2012. Ledo, D., Nacenta, M., Marquardt, N., Boring, S. and Greenberg, S.: The HapticTouch Toolkit: Enabling Exploration of Haptic In-teractions, Technical report, 2011. David Ledo, Nicolai Marquardt, Miguel A. Nacenta, Saul Greenberg, Application Programming Interface (API) for the Haptic Tabletop Puck, 5th Annual Students’ Union Undergraduate Research Symposium. (Calgary, AB, Canada), 1 page poster, 2010. 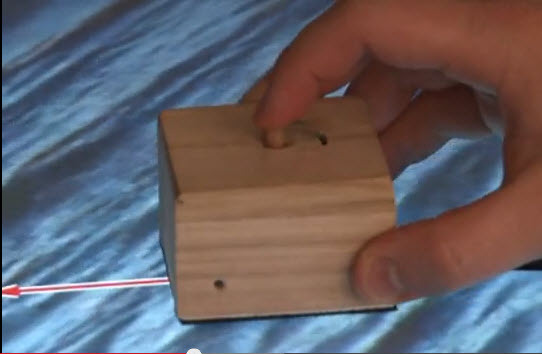 Nicolai Marquardt, Miguel A. Nacenta, Jim Young, Sheelagh Carpendale, Saul Greenberg, Ehud Sharlin, The Haptic Tabletop Puck: The Video, DVD Proceedings of Interactive Tabletops and Surfaces – ITS’09. (Banff, Canada), ACM Press, 2009. Nicolai Marquardt, Miguel A. Nacenta, Jim Young, Sheelagh Carpendale, Saul Greenberg, Ehud Sharlin, The Haptic Tabletop Puck: Tactile Feedback for Interactive Tabletops, Proceedings of Interactive Tabletops and Surfaces – ITS’09. (Banff, Canada), ACM Press, 2009.